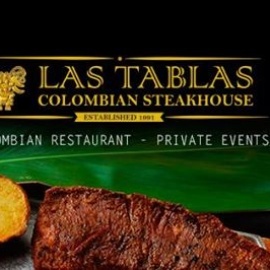 Las Tablas Colombian Steakhouse is a family owned and operated establishment founded in 1991 by Chef Jorge Suárez and Soraya Campos. The menu offers dishes staples such as Colombian-style Empanadas, Arepas, Churrasco, and the Bandeja Paisa (Colombia's national dish). Always a trend-setter, Las Tablas was the first Colombian restaurant in Chicago to introduce dishes such as the Matrimonio - the ultra-popular combination of flame-broiled steak and chicken breast on the same plate. Another example is the Entraña, or Colombian-style skirt steak, which was selected as best in the country by national food show "America's Best Bites". 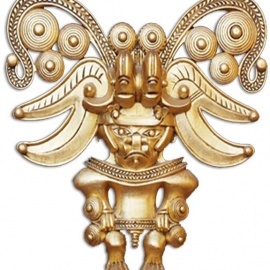 Family-owned Columbian steakhouse with a menu of steaks, mixed grills & other spiced fares.